We really are lucky to experience all four seasons in Niagara - each has it's own perks; flower beds full of colourful annuals in summer, Autumn's jewel-toned leaves, gardens tucked away for winter under heavy snow blankets and Spring....ahhh Spring! 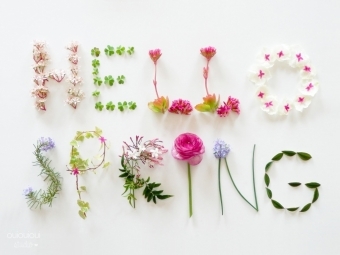 Spring is a fleeting season so we must enjoy each and every moment of it! I've even been known to "rush" Spring into my home by forcing branches into bloom. Thinking of Spring brings to mind buds on the trees, baby birds and flowers - lots and lots of flowers! Easter Sunday falls on April 16th this year, which is still a little early to be putting fresh flowers outside. But nothing is stopping you from bringing buds and blooms inside! I invite you to take a look at our Pinterest page for inspiration. If something should tickle your fancy then contact us and we'd be happy to design an arrangement for your Easter celebrations. 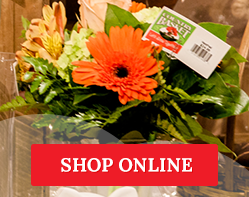 Traditionally, a fresh flower bouquet is the most popular gift for Mom on Mother's Day. Whether you'd like to pop by and watch our designers craft a bouquet for you, or you prefer to browse through our online catalogue and have your gift delivered, we can help you. Get in touch with us today, we'll be happy to help you bring Spring into your home!